With Apple's introduction of Lightning connectivity to its mobile devices, accessory manufacturers are still playing catch-up. 30-pin-enabled speaker docks used to crowd the accessory scene, but that isn't the case with Apple's new Lightning connector. Bluetooth seems to be the go-to solution for wireless audio, and the Wren Sound Systems V5BT ($399) steps up to the plate in style. The Wren V5BT is quite the looker. It's somewhat of a rectangle with curved edges at opposing corners. 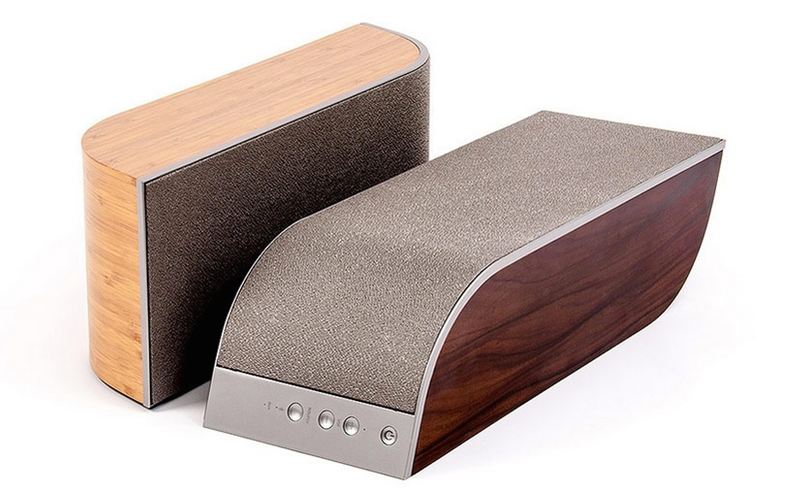 Both the light bamboo and dark rosewood models feature the same silver speaker grille. On the speaker side, you have power and volume buttons. Opposite the speakers, you have a single setup button, standard auxiliary input, and USB port for device charging. Setup is painless, as with most Bluetooth speakers. Plug it in, hit that Setup button, and pair it to your device of choice from its Bluetooth settings. Once paired, you're ready to stream audio from your device to the V5BT. Right off the bat, the speaker's bass response is apparent, with highs ands mids blended nicely. Even at higher volumes, the speaker holds its own, especially compared to other Bluetooth speakers that tend to get distorted around the 70 percent mark. The V5BT can definitely fill a small room with sound. Surprisingly, you can be a fairly large distance from the V5BT before there is any loss in audio quality or signal breakup. 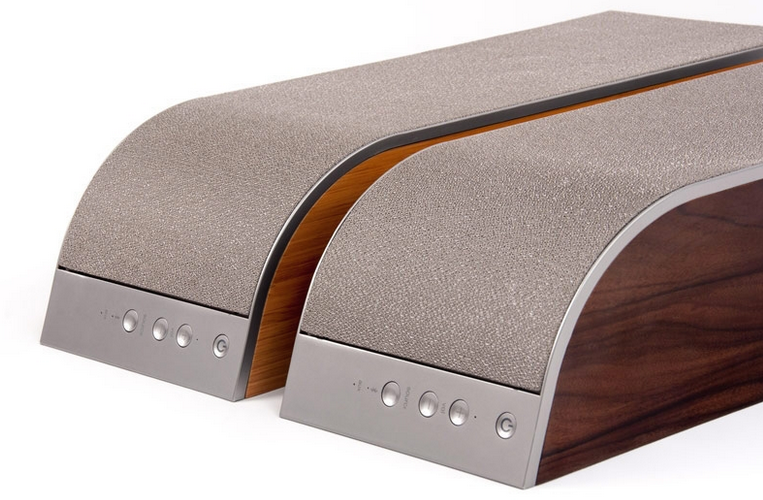 Many Bluetooth speakers typically breakup before or around the Bluetooth's standard 33-foot distance. Unfortunately, the V5BT lacks any type of remote, so all playback options must be controlled on your device itself, save for volume adjustments. Given the speaker's high price tag, the lack of a control is worth mentioning. The Wren Sound Systems V5BT definitely has some great qualities to back up that $399 price tag—eye-catching design, audiophile sound quality, and ease of use—that is, if you're willing to fork up the cash for it.